Flesh colors Either white, pale greenish, yellow, or orange. 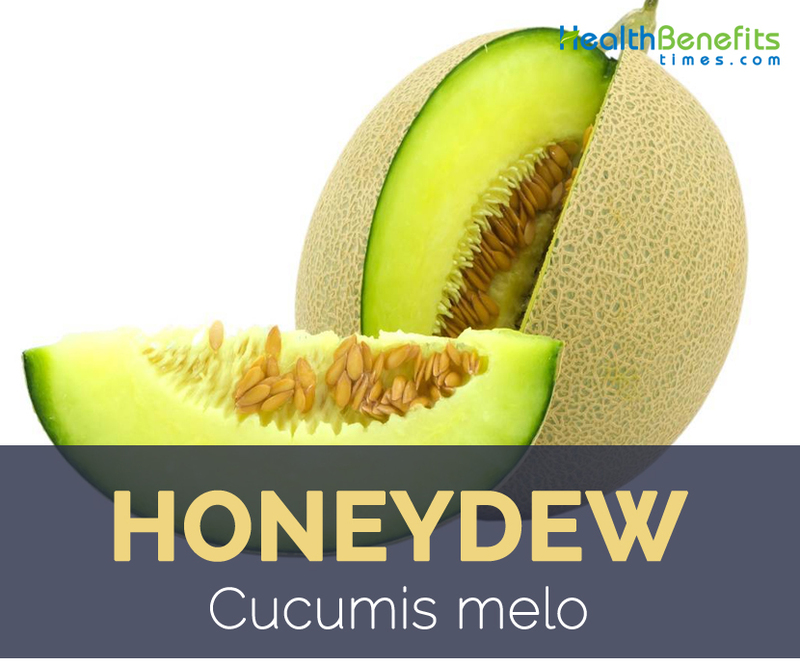 Cucumis melo also known as Honeydew melons are a member of the curbitaceae family and are a relative of cucumbers and squash. It is considered to have originated in Africa. Honeydew melon is present in Egyptian hieroglyphics dating as far back as 2,400 B.C.E., and was a prized as a food. Later cultivated by the Romans, honeydew was introduced to Europe during the rise of the Roman Empire. They did not gain popularity, however, until becoming a trend in the French royal court during the 15th century. Columbus carried honeydew melon seeds with him to America, as did Spanish explorers settling California. Today, most of America’s honeydew is still grown in California. Apart from Honeydew it is also known as American Melon, Fragrant Melon, Oriental Sweet Melon and Winter Melon. 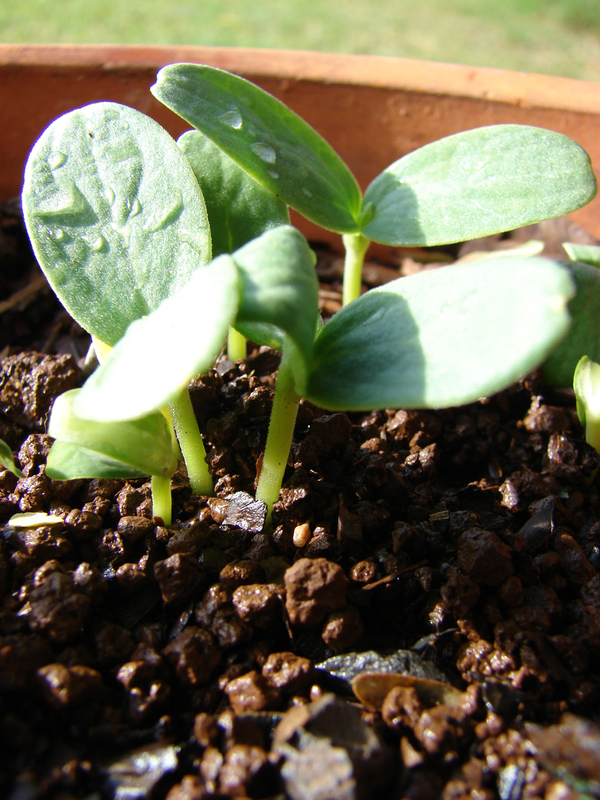 They are one of the popular varieties of melons which are available all year round. Honeydew’s thick, juicy, sweet flesh is often eaten for dessert, and is commonly found in supermarkets across the world. Honeydew melons are an excellent source of vitamin C and a good source of potassium. Honeydew is annual, trailing, prostrate or rarely climbing herbs which grow best in full sun or diffused sun and normally prefers well-drained, dark, warm soil, with high organic matter content. 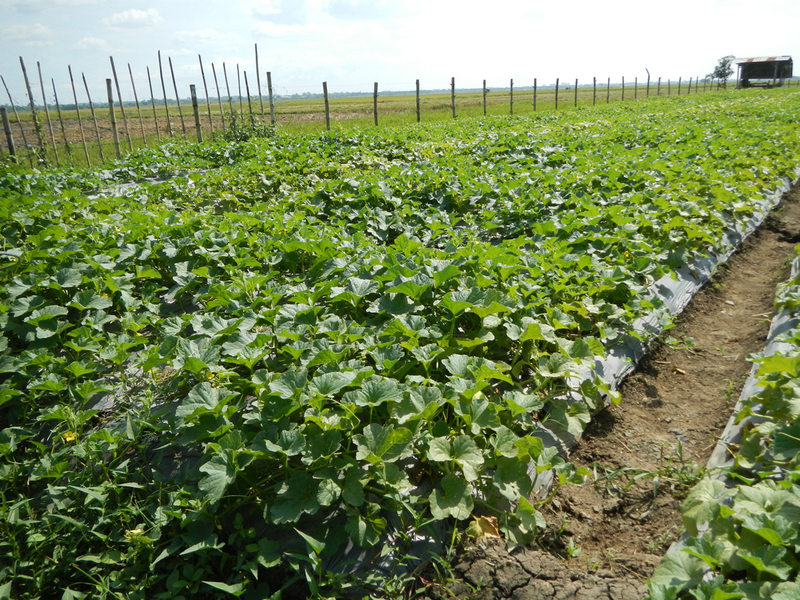 Melons can be grown on heavier soils if well drained in which case raised beds may be beneficial. 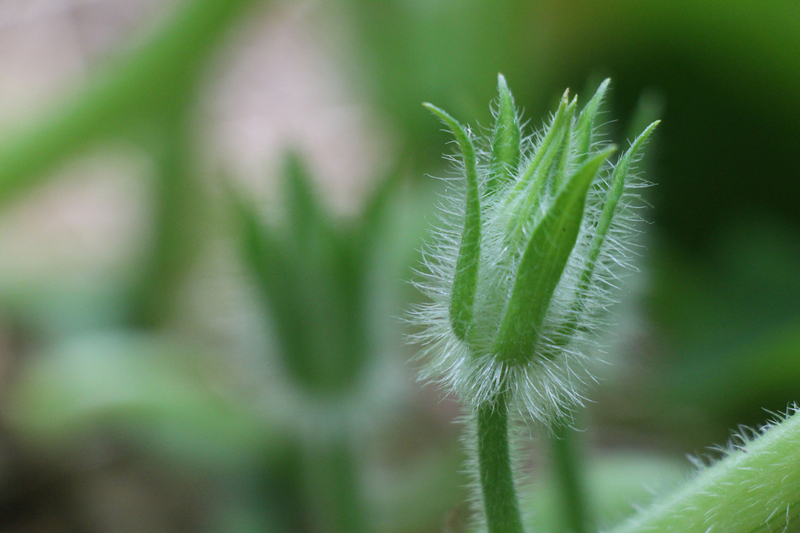 Stems are angular and hirsute, sometimes becoming circular and glabrous. 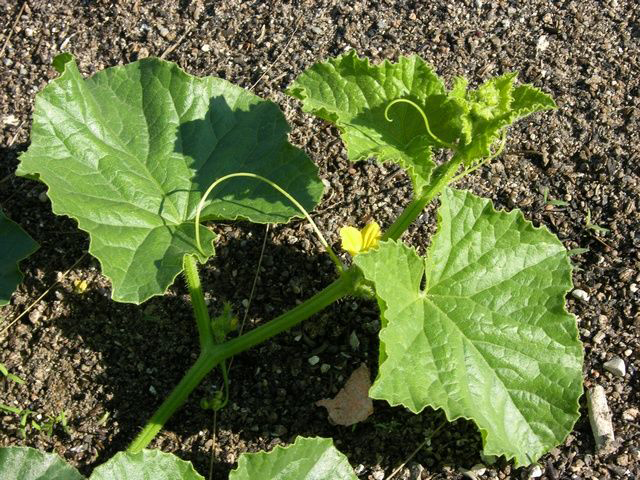 Leaves are sub-orbicular to reniform, shallowly 5-7-lobed, lobes obtuse, both surfaces covered with soft villous hairs; size variable, 8–15 cm long and broad, smaller in wild forms. Flowers are usually andro-monoecious; male flowers fascicled, perfect or female flowers solitary. 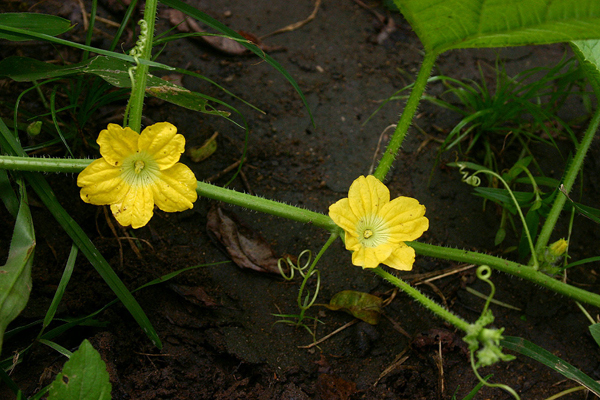 Male flowers with villous, campanulate calyx of 5 subulate lobes, 5 lobed sub-campanulate yellow corollas, and 3 free stamens. Bisexual flowers are similar with pubescent globose, ovoid or cylindrical ovary, with short, simple style and 3–5 obtuse stigmas. Honeydew is a member of the melon family of fruits also known as honeydew melon. Melons are normally polymorphous, round, oval to oblong ellipsoid or football- shaped, (8)-15– 30 cm long and weighs about 1.5–3.6 kg. They are green while young turning to white and later yellow when they completely mature. Melons have sleek skin and flesh is either white, pale greenish, yellow, or orange colored. Normally fruit is sweet and succulent in taste which is wonderful for desserts. 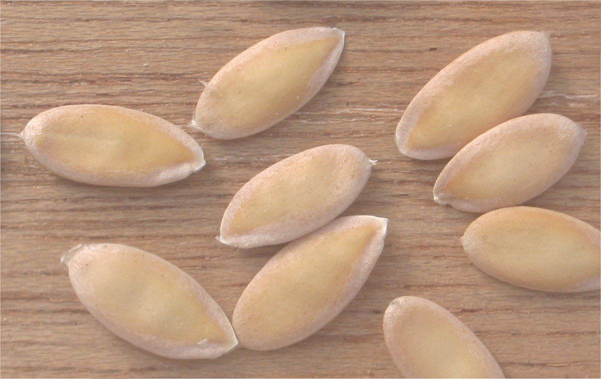 Seeds are ovoid to ellipsoid, creamy white to brown. Peak season of this fruit is from July through September. The sweet juicy flesh of a honeydew melon is one of summer supreme pleasures. 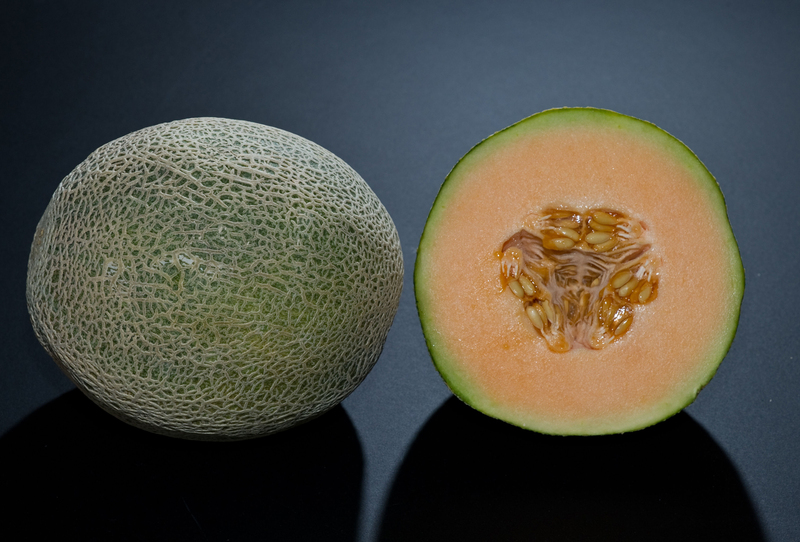 Honeydew melons ( Cucumis melo ) are believed to have originated in Africa where wild landraces are found, however the exact distribution of these wild melons are unclear because of frequent occurrence of plant escapes from cultivation. Melons have been domesticated in eastern Mediterranean, Middle east and West Asia for more than 4,000 years ago and afford probably the best melons in the world. Important centers of genetic diversity of cultivated melon have been developed in Iran, Uzbekistan, Afghanistan, China and India. For the whole inodorus group, Pitrat et al. reported the origin to be in Turkey and the Middle East. Later Columbus carried honeydew melon seeds with him to America, as did Spanish explorers settling California. Today, most of America’s honeydew is still grown in California. Apart from their sweet and succulent taste, honeydew is a good source of nutrients, vitamins and minerals. Consuming 170 gram of honeydew offers 30.6 mg of Vitamin C, 15.45 g of Carbohydrate, 0.15 mg of Vitamin B6, 388 mg of Potassium, 32 µg of Vitamin B9, 0.065 mg of Vitamin B1, 0.264 mg of Vitamin B5. Moreover many Amino acids 0.008 g of Tryptophan, 0.022 g of Threonine, 0.022 g of Isoleucine, 0.027 g of Leucine, 0.031 g of Lysine are also found in 170 gram of honeydew. Honeydew melon juice is considered one of the outstanding hydrating agents which have an ability to store water in its flesh and offers important minerals to the body when the body needs them. Consuming 1 glass of this refreshing juice supply magnesium, zinc, iron and potassium to the body and therefore it is highly favored as a great alternative to mineral water. This delightful juice contains 90% water which will keep you away from dehydration for longer time. Honeydew melon consists of huge amount of fiber which helps to regulates digestion as well as help lower overall body cholesterol level. Improved digestion means that your food intake is digested properly and quickly resulting to regular bowel movement. This will decrease chances of having digestion-related problems like constipation and the likes. Aside from its fiber content, honeydew melon is also low in calories. This is very desirable for those who are very keen in keeping their bodies fit. Intake of this fruit will do your body many good because weight management avoids many more serious disease and illnesses like high blood pressure, heart ailments, or worst cancer. Hypertension is the term used to describe high blood pressure. Research has proven that consuming or drinking the extract of this fruit is wonderful for those who are hypertensive. It is because of its higher potassium content that avoids blood elevation and its effects. Vitamin C found in Honeydew melon regulates and heightens collagen production and growth in the body. Collagen plays vital role in keeping the skin healthy, fair, and young looking because it is the type of protein that helps to repairs and nourished the skin tissues and blood vessels. Collagen beautifies the skin on a cellular level. If you want beautiful skin from the inside out, better eat plenty of honeydew melon. Lutein and zeaxanthin are two important phytonutrients present in honeydew melon which is essential for better functioning of the eyes. 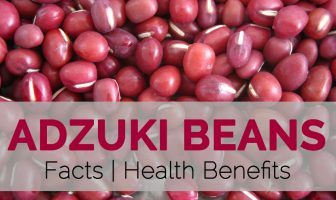 These phytonutrients helps to improve the overall eye health resulting in better vision and reduced chances of eye related disorders such as cataracts, ARMD or age-related macular degeneration, age-related blindness and the likes. Honeydew melon serves the body with Vitamin C that plays important role for a stronger immune system. If your immune system is strong enough, the body will be able to fight off irregular bacteria build-up, excess fat development, and illnesses on its own. You will not have to worry with getting sick easily. Research found that this fruit fills up the body up to 34% of Vitamin C demand. Honeydew is the main ingredient that is popular in the world of Chinese medicine to treat hepatitis. Filipino also used it as the main ingredient to treat those who face the problem of menstrual blood flow is not smooth when in Indian is used to treat swelling and smallpox. Honeydew consists of properties that help to regulate the insulin production in the body. Diabetes is an effect either of high blood sugar levels because of inadequate production of insulin in the body or the inability of the body to react from insulin or both. Aside from its insulin stimulating components, honeydew melon is also very low in glucose despite its sweet taste. This fruit will certainly satisfy those who like consuming sweet food and drinks. Aside from satisfying their sweet tooth, glucose intake is low therefore decreasing risks of having diabetes. This notion also applies to those who are previously suffering from diabetes. During pregnancy, the body needs higher level of vitamin and mineral intake. This is the period that your body should receive utmost nutrients because immunity tends to be weaker than normal. The body should get as much nutrients more than ever. Honeydew melon fills the body with various nutrients particularly during pregnancy. It is high in potassium that maintains healthy heart condition. It also has Vitamin C that fortifies the immune system. If you want to be healthy to give birth to a healthy child, it is highly recommended to eat honeydew melon as much as you can. Researches show that honeydew consists of carotenoids, one rather than food substances that may avoid boils. Honeydew making milk that can offer protection rather than boil seven times better than that which feeds contains carotene content is low. All melons of the Inodorous group are commonly and widely consumed when ripe as fresh dessert fruit. They are eaten fresh, made into refreshing drink, fruit salad with and without vinaigrette, melon sherbert, ice cream, or smoothie. Honeydew is generally used with prosciutto wrapped honeydew melon balls. 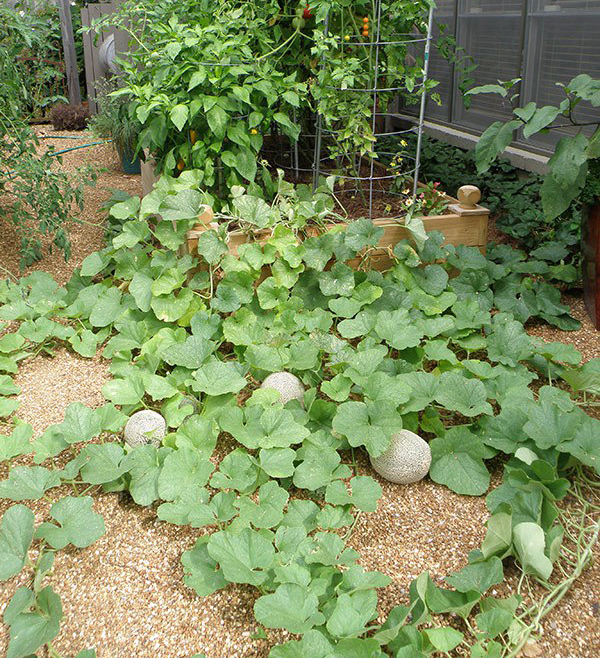 Melons can be cut into halves, quarters, wedges, cubes, or scooped into balls with a melon baller. Most melons will benefit from a squeeze of lemon or lime juice to enhance the flavor and served at room temperature. Immature melons are also cooked or pickled. In Turkmenistan, honeydew melons are processed to a dried traditional product known as ‘kavun kaki ’. Seeds are dried, roasted and eaten. 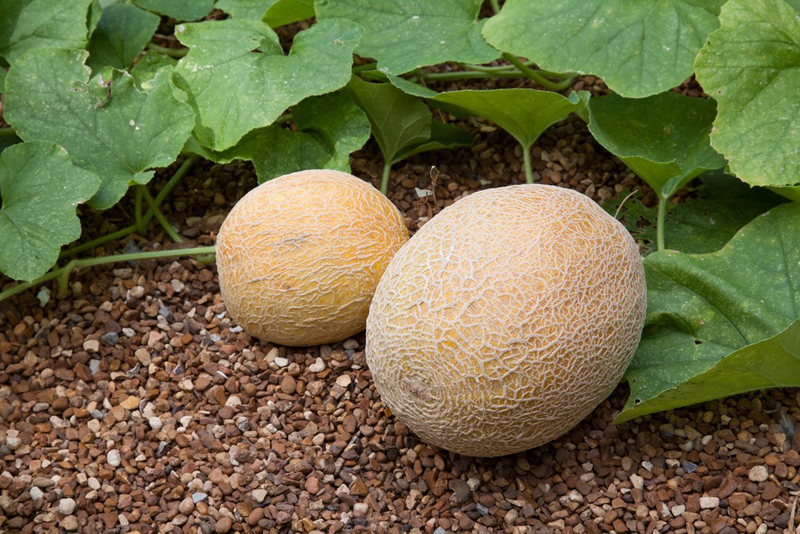 Rejected melons are used as cattle feed to keep them from dehydration during the dry periods. • Store at room temperature till ripe, after that refrigerate. (1) Slice melon in two and take away seeds as well as skin. (2) Slice or even cube melon, or perhaps cut into balls. (3) Placed in protected air-tight storage containers or even heavy-duty freezer bags. • Freezer time shown is perfect for top quality only – foods stored continuously frozen at 0° F could keep safe forever. Honeydew melons sport pale-green to cream-colored rinds along with light-green flesh. They will flavor more gratifying as compared to a number of other melons, which has a taste similar to honey. Honeydew are consumed alone or even combined with some other melons as well as fruits, their sharp consistency as well as fairly sweet taste playing opposite the more syrupy sweet taste of some other summer time fruits. Whether you buy honeydew through the grocery store or even farm stand, or if you are developing it in your own back garden, making certain correct ripeness enables you to take pleasure in the honeydew at its maximum taste. – Reduce the melon lengthwise. – Eliminate the seeds and also the fibers which connect these to the pulp. – Slice the melon directly into cubes, taking out the skin. Honeydew melons really are a rejuvenating as well as fairly sweet contrast to salty meats. Make use of them along with prosciutto or even prawns in the salad. Cut a wedge simply drizzled within honey, yogurt as well as smashed nuts. Calories 61 Kcal. Calories from Fat 2.16 Kcal.